Earlier this month we reported that Taiwan's Electronic and Optoelectronic System Research Laboratories (EOSRL, part of ITRI) has launched a project that aims to develop Micro-LED displays for large-area signage indoor displays. 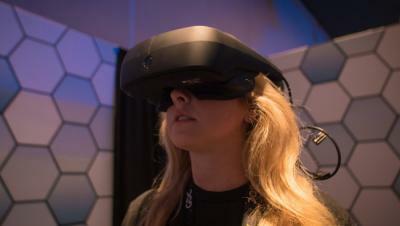 According to a new report from Taiwan, EOSRL's new line, which will begin operation in Q3 2018, will be also used to produce small displays for VR applications. EOSRL reveals that the pilot line is already able to handle 2500 (50x50) chips per transfer, and by the time it is ready it will be able to handle 100,000 chips (100x100). VR is indeed a very interesting application for Micro-LED displays. In October 2016 Facebook's Oculus announced that it as acquired InfiniLED, a Micro-LED display developer based in Ireland. Oculus plans for InfiniLED's display solutions was not stated, but it is likely that Oculus is interested in next-generation VR displays.